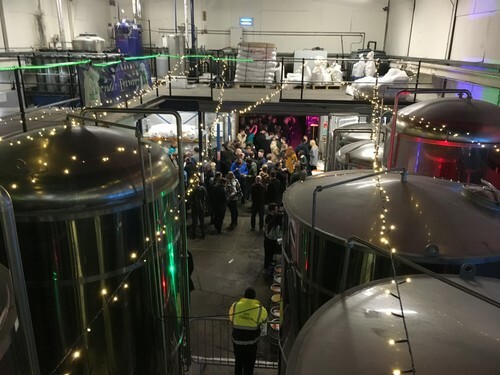 The Sheffield-based Abbeydale Brewery has leveraged the power of crowdfunding – an approach to sourcing investment that is more commonly associated with technology and engineering projects – to throw a huge 21st birthday party, raising a crowd and paving the way to a new, bigger, brewery. Crowdfunding uses the power of the internet to raise money, and interest for a project or firm from contributions from a large number of people. In Abbeydale’s case, backers could secure entry to the party, brewery tours, beer tastings and much more. 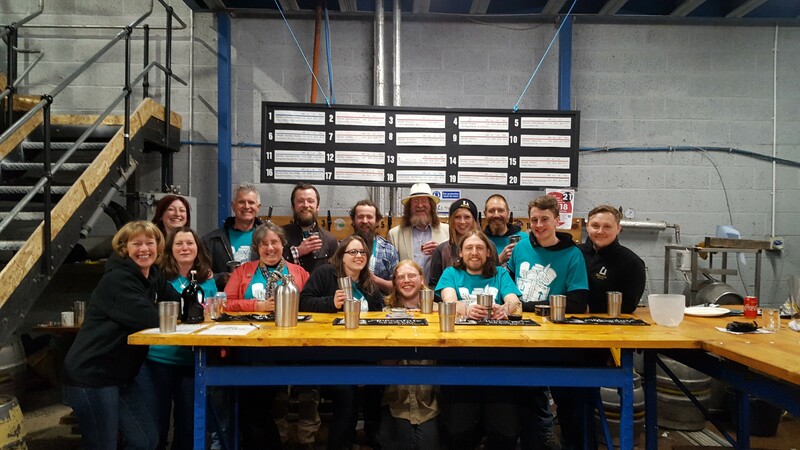 The campaign, which targeted just £21 in a nod to its 21 years of brewing, raised £6,435 from 269 supporters in 34 days – and more importantly attracted over 550 participants. 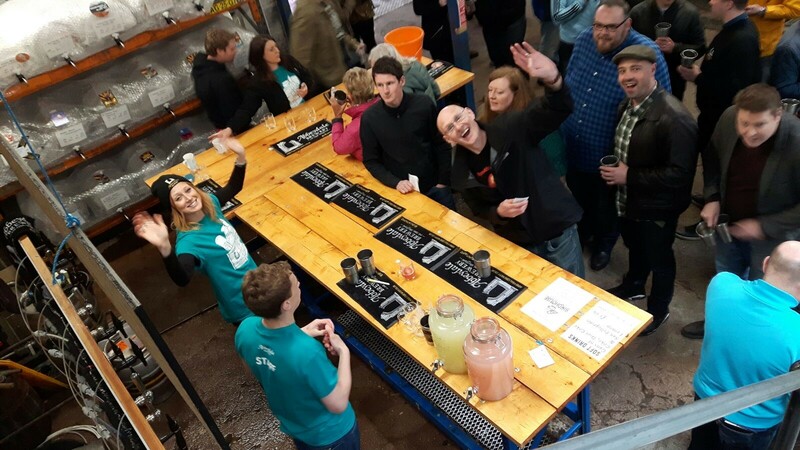 The ‘Piss-Up in a Brewery’, as the event is named, took place on Saturday 6 May and saw more than 550 ale enthusiasts explore the brewery, trying some exclusive brews, street food and music. Abbeydale Brewery is looking at sites for a new, custom-built brewery nearby and the party has helped enthuse and gather a crowd of people. 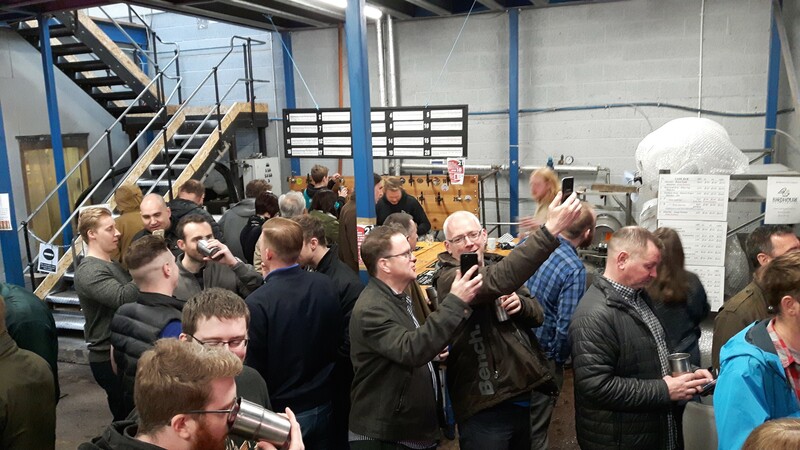 Saturday’s ‘Piss-Up in a Brewery’, the first in a multi-step strategy towards that aim, exceeded all expectations with many participants asking when they could invest. In order to make sure that their first crowdfunding campaign was a success, Abbeydale Brewery got in touch with fellow Sheffield-based business the Crowdfunding Center, which provides entrepreneurs, crowdfunders and other professionals around the world with the tools they need to understand the sector. Barry James, founder of the Crowdfunding Center, said, “We collect data from around the world on the rise of crowdfunding and to help build the industry and ecosystems so it can thrive. “We've been too busy with that to help individual businesses until now, but when local success story Abbeydale Brewery approached us about their hugely ambitious plans for the future, and asked whether they could be crowdfunded, we couldn't resist putting what we've learned to work for another Sheffield business. “This is just the beginning but we're delighted, not so much that it closed at over 30,000%, but that as a result a company that has been selling to the trade until now, has been visited by a new crowd of more than 550 potential investors! Sue Morton, co-founder of Abbeydale Brewery, said, “We’re delighted by the interest this has stirred in our future plans, not to mention over 550 people through our doors in one day - all potential backers and investors - and many of them asking when they might be able to invest already. “After 21 years we’ve long been established as a leading brand but this kind of buzz and engagement goes beyond that, and is just what we need: a big step forward towards our ambitions for the next stage of Abbeydale Brewery." Abbeydale Brewery is a quality-focused brewer which makes Sheffield favourites such as Moonshine, Revelation and Deception. Media information produced by Famous Publicity. For more information please contact George Murdoch at 03333 442 341 or george@famouspublicity.com or Tina Fotherby at 03333 442 341 or tina@famouspublicity.com. Barry James is the Co-founder and CEO of the Crowdfunding Centre, an organisation which provides entrepreneurs, crowdfunders and other professionals with the tools and real-time maps needed to understand and explore this nascent sector better. Barry is a noted futurologist, technologist, writer and entrepreneur, who has become a leading champion and thought leader for crowdfunding and the crowd economy internationally. As well as the Crowdfunding Centre Barry has founded TheCrowdDataCenter.com and VentureFundingHubs.com, and he is lead author of the “The State of the Crowdfunding Nation” series. He co-founded The Social Foundation in 2012 to further research, education and policy initiatives into the new, post-crash economy and Crowdonomics™ creating the UK's first national Crowdfunding conference, 'Deep Impact', leading to the formation of the influential Westminster Crowdfunding Forum and APPG which he helps lead. In 2010 he co-authored a pivotal report for the UK's Information Commissioner on information security in the UK SME sector. An award winning innovator with technology patents granted in the UK, USA and internationally, he remains co-founder and CEO of AngelRevolutions, the cloud and mobile tech company. He is a frequent speaker and visiting lecturer on Crowdfunding entrepreneurship, innovation and an experienced conference chair, event creator and organiser. Barry has a degree in Psychology and Mathematics from Lancaster University and his interests include disruption, the co-evolution of the Internet with society globally, citizen entrepreneurship and the rise a post-digital people-centred economy. This press release was distributed by ResponseSource Press Release Wire on behalf of Crowdfunding Center in the following categories: Men's Interest, Leisure & Hobbies, Women's Interest & Beauty, Food & Drink, Business & Finance, Media & Marketing, for more information visit https://pressreleasewire.responsesource.com/about.